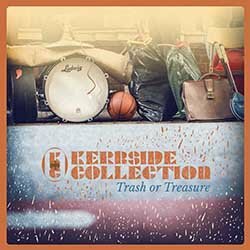 Kerbside Collection - are an all instrumental dusty jazzfunk and rare groove ensemble from the inner suburbs of Brisbane. The sound harks back to the 60’s and 70’s Californian West Coast jazz funk music of artists such as Wes Montgomery, George Benson, whilst keeping their feet amongst today's contemporary DIY funk and soul artists such as Sharon Jones and The Dapkings. In May 2011, directly after devastating floods freakishly ripped through their hometown of Brisbane, the ensemble went to record their debut album in Melbourne with Jake Mason (Cookin’ on 3 Burners). ‘Mind the Curb’ was released in May 2013 on German Indie groove label Legere Recordings and P-Vine Records in Japan to warm responses worldwide. A remixed album followed in 2014 featuring 90% local Australian producers/remixers. Their sophomore album 'Trash or Treasure' was released in June 2015 exploring some 'wilder' tones and textures alongside their dusty grooves. Hypnotic, laidback back surf grooves - feat beautiful vibraphone solo by Jutsin Marshall (from The Putbacks). About a particular coastal area in NNSW.